Sue Parker is a young policewoman in Bath who finds herself propelled into cases of mystery and International intrigue as she tries to balance her career and her love life, usually to the detriment of the latter. A missing man, a web of international intrigue and a set of seemingly unrelated clues are all part of the puzzle. Is the answer to the mystery to be found in an innocent looking tea-shop in Georgian Bath ? 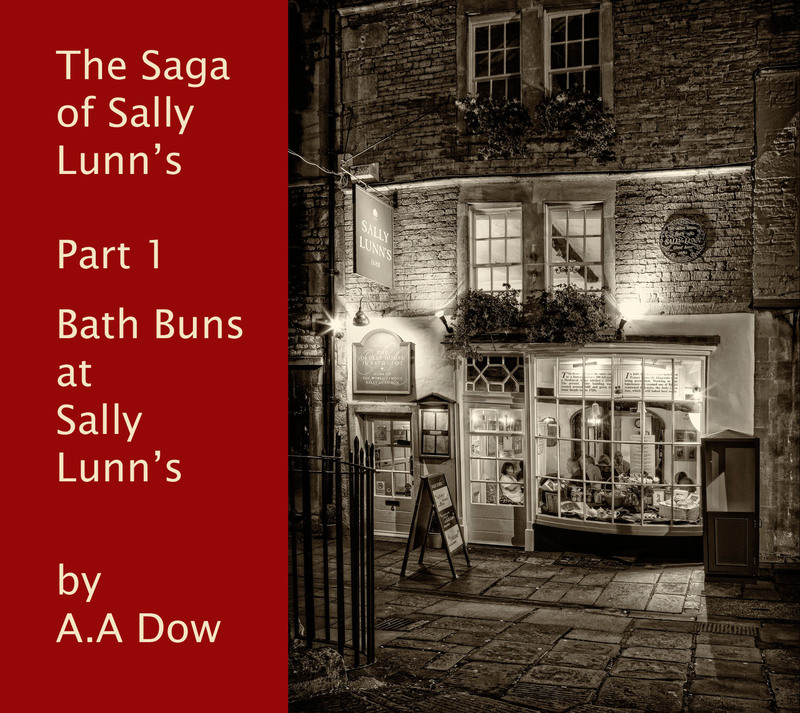 Bath Buns at Sally Lunn's is read by the author. This story continues to follow the fortunes of Constable Sue Parker after she solved the case set out in Part One of ‘The Saga of Sally Lunns.’ She is now a Sergeant and she has to take on a baffling new mystery in a Medieval Chateau during a ‘management motivation’ weekend. There are just too many motives and suspects when a suspicious death occurs, and to cap it all she is still trying to sort out her love life..
Part 2 of the Saga of Sally Lunn's, Croquet at Chateau Chevalier, is read by the author. Sue Parker has been temporarily transferred to Frome as Acting Inspector and as usual she is determined to make a success of it, and her life generally. Her latest romance with Martin had not worked out and work was taking priority again. She had not been at her new desk for long however when a very strange, seemingly motiveless case came to her attention. Who could possibly wish to harm an old lady in Frome? Surely the answer would be simple and local, but not a bit of it as once more Sue was propelled headlong into a world of International intrigue and murder..
Part 3 of the Saga of Sally Lunn's,Troublesome Talk at River Walk, is read by the author. Having made her way up to Inspector, Sue Parker was happy to get married and retire. She and Bruce would meet regularly after work in Sally Lunns after Bruce finished a shift and she’d been to the gym. She was only 45 at the time and Bruce continued in the Force until he became ill. They were not given much time to enjoy joint retirement but they did manage a number of memorable holidays together. After his death Sue moved to Salisbury to be near friends and it was on holiday with them, one New Year’s Day that she became unwittingly involved in a case just as intriguing and threatening as before. It all began on a windswept beach near Portsmouth. ..
Part 4 of the Saga of Sally Lunn's,Flotsam and Jetsum, is read by the author.